1) Intention – This does not mean doing random acts of kindness on purpose with the expectation that this will now create “good karma”. 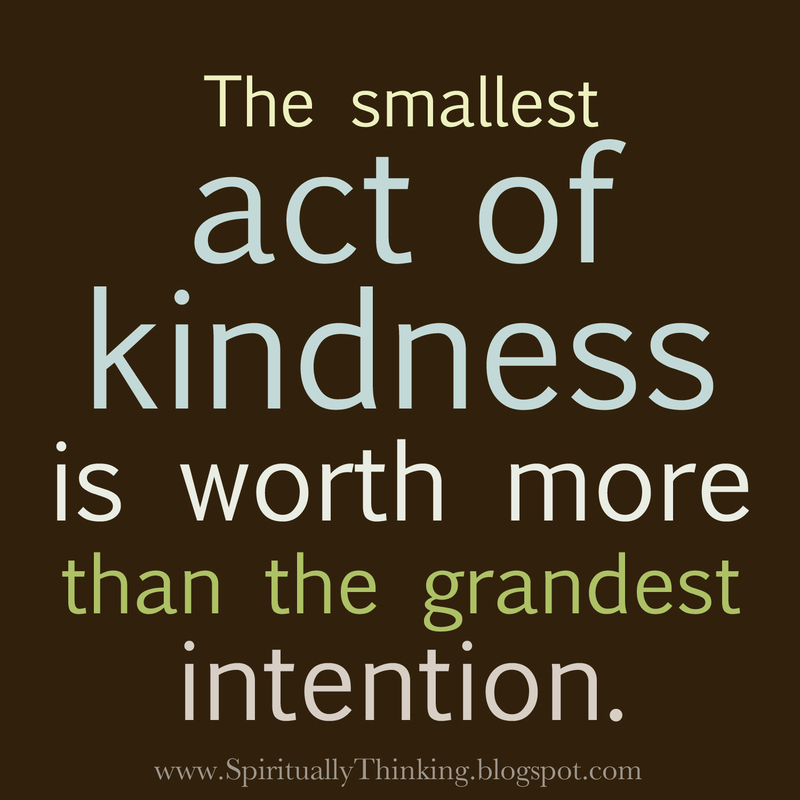 It is simply doing random acts of kindness with the intention of generating a positive feeling in the recipient. In my opinion it is the positive act with the only desired outcome being that you make someone’s day better that automatically generates the good karma. The unintention within the intention. I know that when I’ve let someone else’s behavior affect me I’ve noticed that it has a direct effect on all those around me, my entire day and every day after that until I stop letting it affect me. It’s something I have to consciously choose to ward off and it can sometimes take all of my positive energy just to stay on the level but it’s a definite “have to” for me, and the most necessary step in maintaining my spirit. I do have one aide that I use that helps to calm me internally when someone has affected me and it really does work. 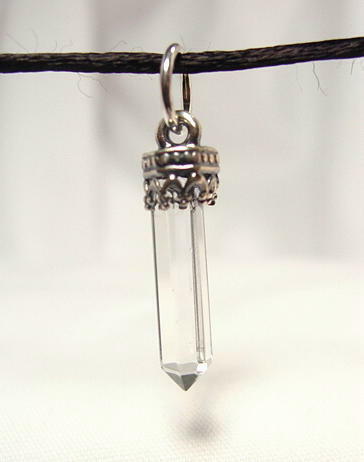 I bought myself a clear crystal quartz that hangs on a nylon cord like a necklace and I wear it when I feel out of sorts. Clear crystal quartz is said to have healing properties that cleanse away negativity, clear blockages and balance your crown chakra. It’s called “the poor man’s diamond” because it’s so rich in every way except material value. It’s been said that your karma follows you through each and every life until you’ve paid up the karmic debt that you’ve created. I can’t say one way or the other on this statement as I would have to have data from not only mine but from others past and current lives. I don’t know if that’s even a possibility to complete, at least not for me anyway. I do believe in the statements of the karma coming with you through each life and the karmic debt being paid. 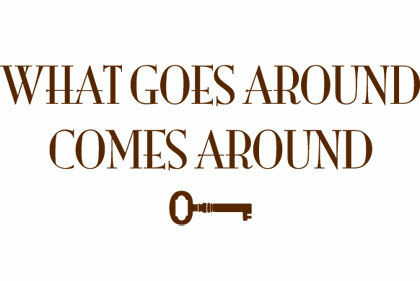 I think that anyone can turn their karma around as long as their intention is coming from an open and honest place. Of course I don’t mean that by reaching an open and honest place that means that they are automatically paid up for any past transgressions. I view it to be a process, somewhat like a 12-step program and that the person who has made this transformation within is usually eager to make amends and make up for any stress and/or hurt that they’ve caused. It is through these positive desires that the karmic debt gets paid up, not just because they’ve made amends but because the intention is open and honest and their words/actions are consistent with that intention. At times, I still struggle with not letting things that others do (mostly people close to me) affect me. I just had a situation yesterday where someone else’s behavior (that i considered to be inconsiderate), totally affected my mood for the rest of the day – and honestly into this morning. My entire mood was blah and everyone around me noticed. There was part of me that knew I needed to just let it go and/or not focus on it so that I could enjoy the day, the company around me, etc. But the other part of me was still irritated. “Change the way you look at things and the things you look at change.” I’m sure I’ve heard this before, but I’m gonna commit this to memory. Thanks for sharing this. I have TOTALLY been letting this person block my positive energy since yesterday! I think the reason I still struggle with it at times is because I have a certain level of expectation for those close to me and (to my fault) I sometimes assume that they see things the same way as I do. Changing the way I look at things was basically lowering my expectation and that made things a little easier to deal with. Thanks for your great comments as always Danielle!